My friend Connor Coyne is one of those rare birds who left our hometown of Flint for not one, but two big cites, before returning to buy a home in the place where General Motors was born. 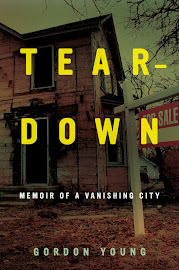 Connor graciously offered invaluable feedback and support while I was writing and editing Teardown: Memoir of a Vanishing City. His friendship was a reminder that Flintoids help out other Flintoids. 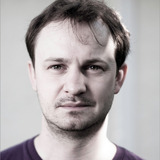 As a writer, Flint is a recurring theme in Connor's work. Given the vicissitudes of book publishing these days, Connor has started a kickstarter campaign to fund the digital and print publication of his compelling experimental novel Shattering Glass. I've already made a donation. It's a great way to support an artist, husband, and father who returned to Flint to raise a family with his wife, who is a nurse at Hurley Hospital. I hope Flint Expatriate readers can help as well. By the time 2011 rolled around I had written several novels and was just settling into a beautiful new house in my hometown of Flint, Michigan, to which I had returned after fourteen years in the Big Apple and the City of Big Shoulders. I was also coming off of publishing Hungry Rats, a grim and gritty noir novel that had taken seven years to develop and which was also the subject of my MFA thesis and self-published via Kickstarter. These adventures had been successful, but I was looking for something fun and easy and a little bit stupid, and Shattering Glass was supposed to be the answer. Shattering Glass was intended to be a short, pulpy novella in which I could indulge in allusion, rhythms, and thematic sledge hammers. The setting would be the fictitious Arkaic University, based upon the University of Chicago where I had gone to college. If you don't know, the U of C is a cult of learning afflicted with both insularity and a fever of intensity. Everyone there is -- admirably, perversely -- obsessed with something.To paraphrase the first chapter of Shattering Glass, "visitors are novitiates; here tread experts." 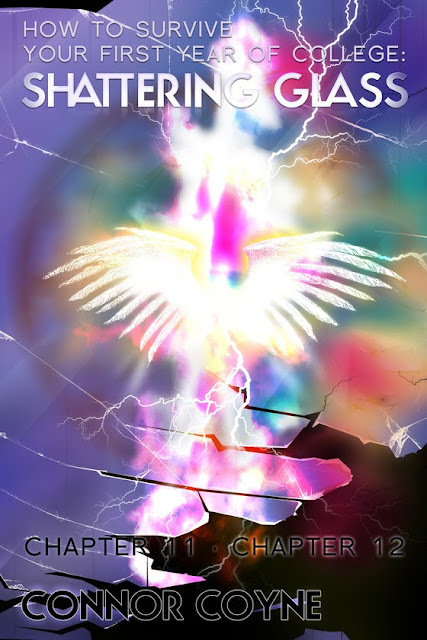 The city of Arkaic, Michigan has featured in other stories I've written and it, itself, is a much exaggerated version of Flint, which is an odd town, poor but inventive, cold but romantic, religious but radicalized, frustrated and frustrating. Faced with the prospect of walking back to [her dorm] and having to either ignore or make up with Ezzie, Dunya shakes her head. She puts on her coat and heads out into the feral October. Tonight the wind tumbles through the leaves making the branches gape wide, like fanged jaws. She stares them down all the way to South Street, gets on the bus and rides it downtown. Then, still not knowing Arkaic very well but wanting to get as far as she can from campus, she gets onto another bus that takes her deep into the North Side. She gets off the bus at Ash Highway. Vacant lots and ragged signs shivering in the chill range away to the west. To the east, things look a bit more promising and she sets off along the highway. Even here, most of the buildings are vacant, with huge, stone-scattered parking lots. But then again... Dunya sees the traces of secret life among the desolations. Hidden treasures that have ridden out the blizzard. She passes a used bookstore, a hole-in-the-wall bakery, a laundromat, a trophy factory, a used car dealership, a Tiki-themed bar. They all hum with life, even though it’s well past business hours. It warms her heart to know that some of Arkaic is alive, even on the edge of oblivion. It reminds her of home, of Richmond. Okay, so the differences are huge: culture, climate, health, and appearance. Michigan is no California. But two down-and-out towns can share a common conversation across a few thousand miles, and Dunya hears it. She hears Richmond in the air. She recognizes its gravelly-staccato rusted language. Go here to support Shattering Glass. Wow. I'm pretty sure I actually knew Connor back in high school, although probably mostly second-hand through friends. Great to see he's doing cool stuff still.